Good communication is key in the courtroom. 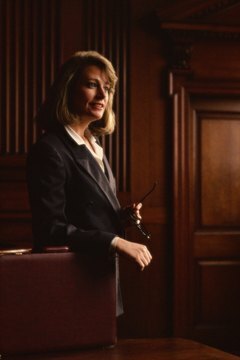 Plan to walk down a long, sometimes rocky road as you embark on a career as a lawyer. That path includes four years of undergrad school, then a slew of courses in law school. Once you've earned your juris doctorate, plan to take your state's bar exam and perhaps an ethics exam. Acing the academic requirements isn’t the most difficult part of your journey, however, as you must work to develop other necessary skills as well. 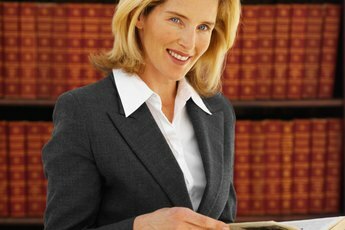 A successful lawyer uses her interpersonal skills, otherwise known as "people skills," to gain the confidence of clients and to help put them at ease. While it is the lawyer's job to help a client obtain the best possible outcome, it is also imperative that the lawyer listen to what the client is telling her. In some cases, the client may only be seeking advice rather than wanting to take another party to court, or simply want assurance that they are doing the right thing. This can often be accomplished by simply listening to the client and analyzing what was actually said. 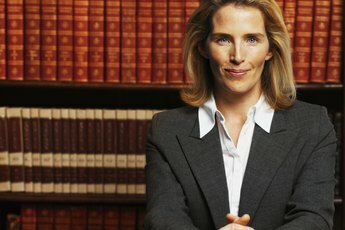 A lawyer must have strong speaking and writing skills. These are not only necessary for arguing in the courtroom, but they are imperative for when he is negotiating a deal for a client. 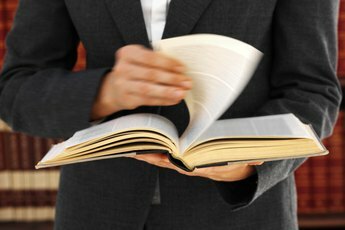 He must be able to explain legal concepts to clients in a clear and concise manner orally, and effectively convey these same ideas in writing as well. One of the most important skills for a lawyer is the ability to match the applicable law to the facts for each case he works on. It is not enough for the lawyer to merely argue as to why his client is right and the other side is wrong. Instead, he must analyze and determine how certain laws favor his client, then use the elements of those laws to support the client's case. Because lawyers are generally unsupervised, they must rely on their own motivation to perform their jobs quickly and efficiently. In some law firms, or if they work for themselves, they must also constantly be motivated to bring in new business to keep the law firm going. 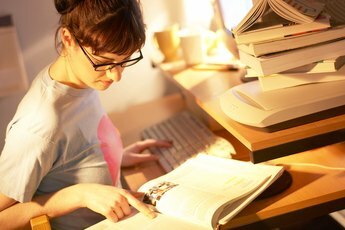 Although law students are taught the fundamentals of legal research, there is often a rather large gap between their education and research skills in the "real world." Lawyers must be adept at using both online and published material to analyze relevant subject matter and draw conclusions to support their case. Knowing which database to use and what to do with the research material is the first step toward developing research skills.